An independent monitor has found that many of the city’s most vulnerable remain stuck in troubled adult homes too long and that the state loses track of them once they move out. This story was co-published with PBS Frontline. New York state officials are behind in investigating incidents where mentally ill New Yorkers may have come to harm, according to an independent report filed in Brooklyn federal court this month. At issue is the welfare of hundreds of vulnerable people who have moved out of troubled adult group homes and into their own apartments under a federal court order issued by U.S. District Judge Nicholas Garaufis. 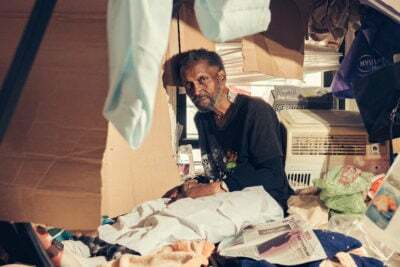 Last December, ProPublica and Frontline identified more than two dozen cases in which former adult home residents struggled without adequate support, living in conditions that were unsafe and inhumane. We exposed six deaths, including a woman who had been strangled in her bathtub and a man who was found naked and dead during a blizzard. ProPublica and Frontline investigate the effort to let those with severe mental illnesses live on their own. Watch online at pbs.org/frontline. The state, which has been moving people out of adult homes and into a system called supported housing since 2014, had no centralized system to track such incidents until last summer. In response to the ProPublica investigation, Garaufis ordered an examination to assess the effectiveness of the state’s new incident reporting system. The examination was originally due on Jan. 31. It is still in progress. However, some early findings have surfaced in a regularly scheduled annual report by Clarence Sundram, the independent court monitor assigned to oversee the transition. Sundram found that incidents were being reported, but “few reviews have been completed and the vast majority of the reported cases have been in pending status for considerable time.” By the end of the year, the state had completed reviews of six out of 27 reported incidents; the remaining 21 had been in pending status from 25 to 185 days, Sundram said. “In the future, as suggested by the Independent Reviewer, the State will complete the reviews in 60 days or note why a review took longer,” he said in an emailed statement, adding that 19 of the investigations are now closed. Sundram devoted a section of his report to Nestor Bunch, the subject of a ProPublica story and documentary in collaboration with Frontline. 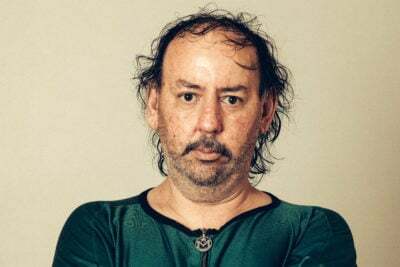 Bunch, a 57-year-old man with schizophrenia, had moved out of a group home into a series of apartments, where he struggled with suicidal thoughts, found one roommate dead, appeared to suffer a severe beating and was repeatedly hospitalized for psychiatric breaks. Sundram, who refers to Bunch as “NB” in the report, found that he also experienced lengthy delays in receiving food stamps; that his Medicaid services expired, making it difficult for him to keep up with his medication regimen; and that his caretakers long knew Bunch needed the assistance of an aide, but he didn’t get one for two years and when he finally did, the aide spoke only French. 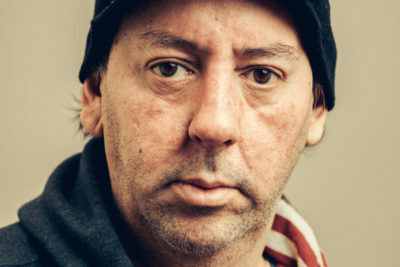 After several weeks recovering from injuries in a hospital, Bunch’s time in supported housing ended in a squalid apartment where his third roommate had recently drank himself to death. In his report, Sundram described that apartment as “filthy and practically uninhabitable.” His home care management agencies refused to assist him there. Finally, he moved back into a group home called Stepping Stone in downtown Brooklyn. Bunch’s plight, which Sundram had originally written about in a sealed July 2018 progress report to the court, illustrated the need “for a robust quality assurance program to review serious untoward experiences of class members ... to identify causes, implement remedial and corrective action, and disseminate the lessons learned to other providers of housing and support services,” he wrote. Under a landmark settlement, an ambitious housing program promised a better life for mentally ill New Yorkers. But some of the most vulnerable slip through the cracks. A housing ruling gave Nestor Bunch independence, with limited support. Was he ready? Bruno, the Health Department spokesman, said he could not comment on specific cases. In addition, Sundram found evidence of the same problems that have bedeviled the transition since the original lawsuit was settled in 2014. Even though advocates successfully argued that people with mental illness should get the right to live outside of an institution, adult home operators have interfered with assessors authorized to enter the homes and interview residents to gauge their capacity to live more independently. That’s due in part to a surprising legal turn that took place in 2017. As ProPublica reported then, the adult home industry had argued that a state regulation at the heart of the judge’s order was preventing a single resident from moving back into an adult home, even though he wanted to. The state agreed to suspend its own regulation, which was supposed to stop admissions of new mentally ill residents, effectively re-opening the facilities to the population. The “front door,” as Sundram calls it in his report, was closed again in January 2019, but in the interim, adult homes accepted hundreds more mentally ill residents. The state initially intended to offer some 4,000 people the opportunity to move out. So far, just over 800 have left. Almost 50 have moved back into the adult homes. As for Bunch, he eventually moved into what is called a Treatment Apartment Program in the summer of 2018. He did well for a while. It offers far more intensive services than what most former adult home residents receive, including an aide who comes to see him for several hours each day. But his aide recently left her job. With no one to help him with his medication, he spiraled in a matter of days. He just returned from a month in a psychiatric ward at NewYork-Presbyterian Brooklyn Methodist Hospital, said Nora Weinerth, a family friend who has become something of a guardian for Bunch. It is a painful reminder of his fragility and that of the system which serves him, she said.